In this review, we will be taking a look at Envestio. This review 100% unbiased and based on my own experiences only. Envestio started as a private investment fund in 2014 and now is one of the leading companies in the industry of “New Finance” or “Finance 2.0”, which offers investors from different countries premium investment opportunities through online crowdinvesting marketplace. At Envestio they offer to the public investors only those investment projects, which successfully passed a thorough and unbiased due diligence process, conducted by our professional team. It is theyr strong belief that nowadays everyone can become a successful investor. 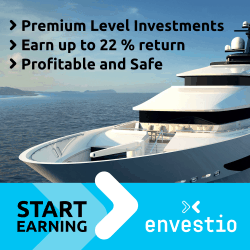 Invest into high-tech, real estate, power production, and other top-quality projects with Envestio and start earning high returns. It’s super low. 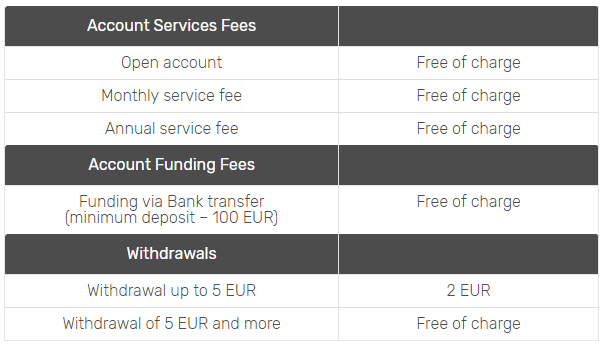 Minimum amount of single investment at Envestio is 1 EUR. 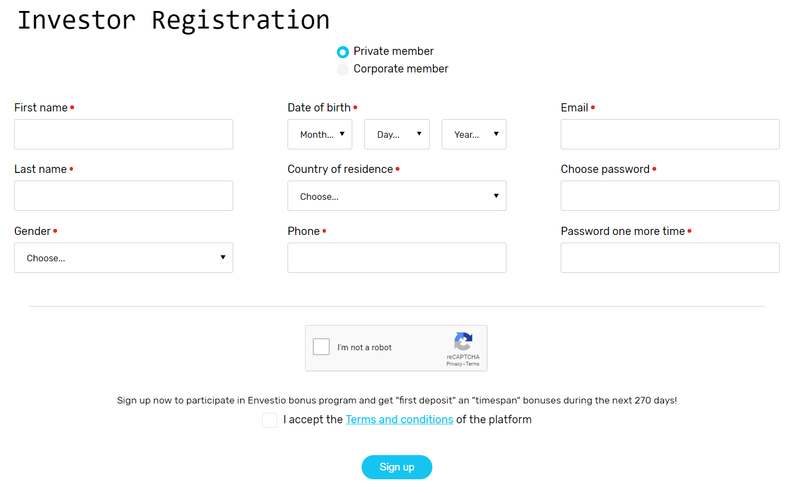 How to register at Envestio? Registration at Envestio is pretty straight forward. Click anywhere here to start registration at Envestio. First off, you need to choose between two account types. Do you wish to invest as a private member or a corporate member. Pick the type of account you wish to create and fill out the blanked spaces, so far easy, right? 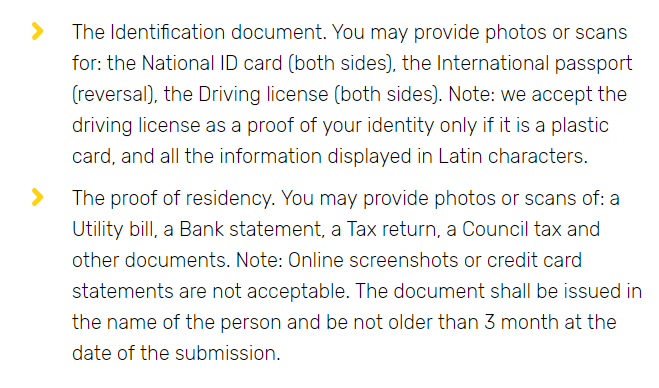 After filling out all the blanks, confirm you are not a robot. After that read “the terms and conditions of the platform” and then accept them. Congratulations! You are a member! After registering they will send you an e-mail. Go ahead, read that and press “Confirm registration”. How to verify your Envestio account? Firstly login into your freshly made account, afterwards from the top menu press “Documents”. To upload your documents press “upload documents”. Make sure you will have up to date documents and good image quality of the presented documents and photos. After you have successfully uploaded your documents and photos, it will usually take up to few days for Envestio to process them, so hang tight! In the meanwhile you can make a deposit to your account. 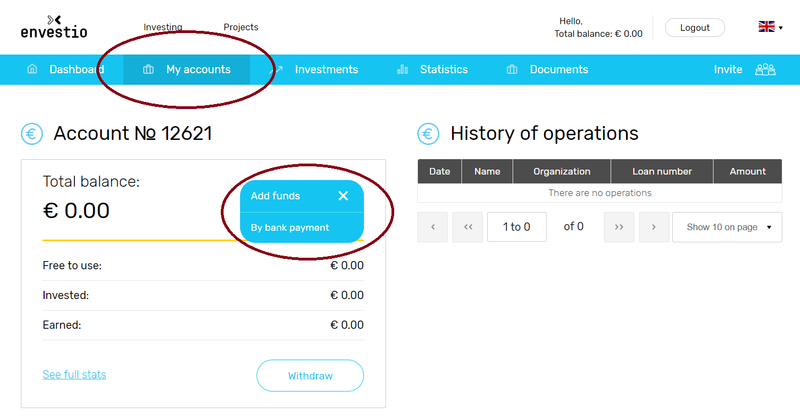 How to add funds to your Envestio account? At the main menu go to “My accounts”. Click on “Add Funds” and then “By Bank payment”. You then will be shown an instruction on how to make a bank deposit to your Envestio account. How to invest at Envestio? Once you have deposited funds to your Envestio account. You can start investing in different projects, which are shown under the “Projects”. 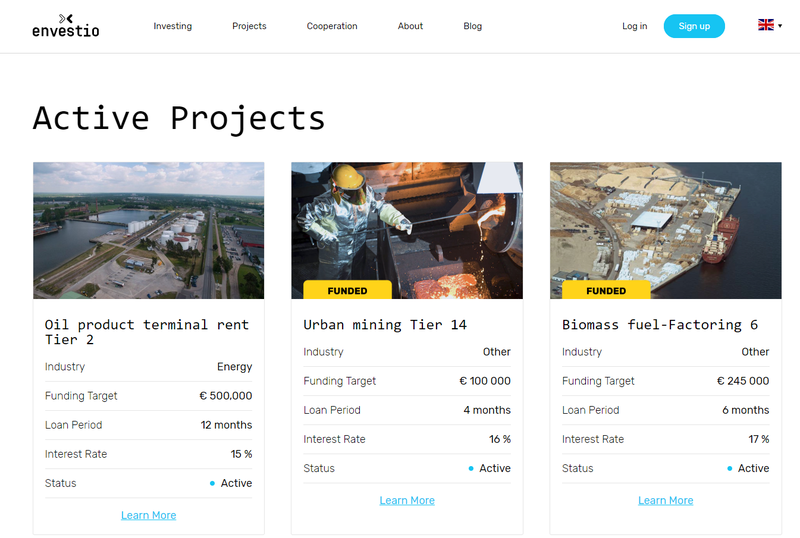 Under the “Projects” you can see all the active, funded and completed projects. All funded projects have yellow “FUNDED” tags and all completed projects have blue “COMPLETED” tag. Does Envestio have an auto invest tool? How much can you earn on Envestio? Envestio offers interest rates above the average when compared to other peer to peer investing/lending platforms. By the time this article was published, the annual average interest rate from projects in Envestio was of 19.25%. After analyzing projects individually, I confirmed the interest rates are from 12% to 22%, which is slightly above average. Envestio is a decent crowd investing platform, which has projects with an above average interest rates. If you are looking to diversify your portfolio, you should definitely look into Envestio. Their projects vary from side to side, which is a good thing. Also their user interface is relatively easy to use and communication with the Envestio team is quick. The only downside in my opinion is that there are not so many projects to invest in and the lacking of auto investing tool. Hopefully the Envestio’s team will soon make the auto investing tool and find more projects to invest in. 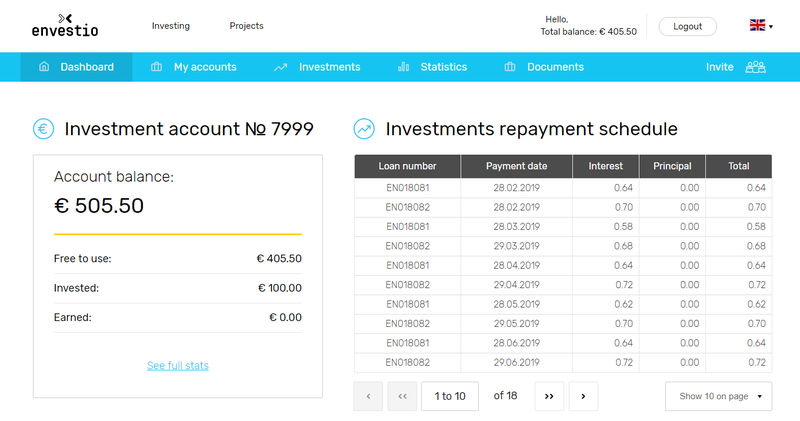 So far I deposited a total of 500€ to my company’s Envestio account and invested a total of 100€ to 2 different accounts. I am hoping to diversify my 500 euros into 10 different projects, that’s why I still have 400€ laying around. You can consider some other peer to peer companies checking my Mintos review, Estateguru review and Crowdestate review. Have you invested with Envestio? Did I miss anything? Do you have any questions? Please share your experience and thoughts in the comment section below.